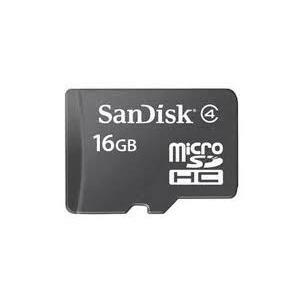 SanDisk's 16 GB Micro SD card is extremely small in size but big in memory. The semi-removable memory card is based on the mini SD designs for the latest mobile phone products. Its possible to store personal data such as photos, MP3's, video games and other applications. At roughly the size of a fingernail the Micro SD is designed for mobile phones which are compact, yet fully-featured with storage-intensive applications like cameras, video capture, MP3's, video games etc. Is it suitable for iphone4s? Hi no there is no memory slot on the iPhone series.